The Mayo Clinic health system operates in five states, including campuses in Arizona and Florida. In 2016, it reported $11 billion in revenue and $475 million in income. 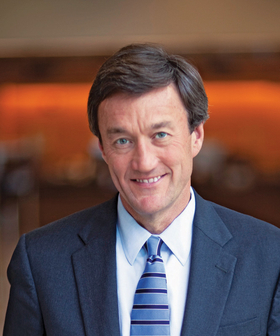 Late last year, CEO John Noseworthy had a message for the staff of the Mayo Clinic: We want patients with commercial insurance over Medicare or Medicaid. What was revelatory about his statement was not what he said, but the mere fact that he said it. The Minneapolis Star Tribune first reported the news after obtaining a transcript of the speech and verifying it with the Mayo Clinic. Now, it's raising concerns about medical ethics and the broader repercussions of a highly regarded health system's willingness to boldly spell out its preference for wealthier patients. “We're asking ... if the patient has commercial insurance, or they're Medicaid or Medicare patients and they're equal, that we prioritize the commercial insured patients enough so ... we can be financially strong at the end of the year to continue to advance, advance our mission,” Noseworthy told staff. "If we don't grow the commercially insured patients, we won't have income at the end of the year to pay our staff, pay the pensions, and so on. So we're looking for a really mild or modest change of a couple percentage points to shift that balance." In a statement provided to Modern Healthcare, the Mayo Clinic said that Medicare and Medicaid beneficiaries accounted for half of their services. “Medical need is the top factor in the decisionmaking process for appointment scheduling. After medical need, we consider if the patient can access the care they need closer to home and often work with their local provider to provide the highest level of care locally,” it explained. How hospital and healthcare systems' finances would be affected in a post-ACA world, given Republicans' ongoing efforts to repeal the law, remains unclear. The Congressional Budget Office has calculated that if the replacement bill becomes law, 24 million people would lose health insurance over the next 10 years. Due to the increase in the uninsured population, Medicare and Medicaid spending on disproportionate-share payments to hospitals would increase by $74 billion over the coming decade, while federal payments to states for Medicaid would drop by $880 billion by 2026.